Bringing together media and society, the protesters and their supporters have been demanding on TV and YouTube, in newspapers and on posters, on Facebook and Twitter, an end to police brutality, state of emergency laws, corruption, high unemployment, food price inflation and low wages. They want free elections and free speech. 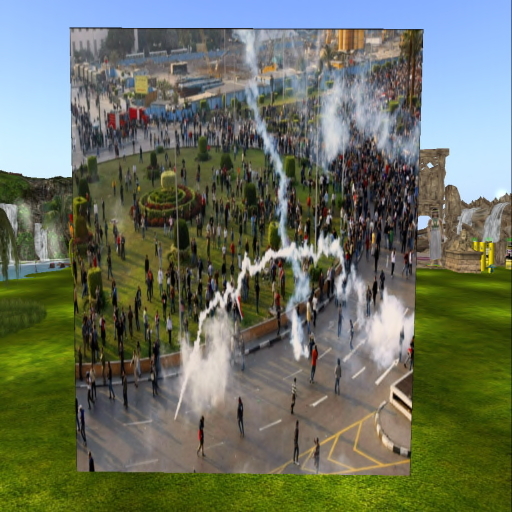 With 22 SL million residents — only 40 percent from the U.S. and 60 percent from elsewhere — it’s not hard to imagine the Arab world demonstrations spilling into Second Life. 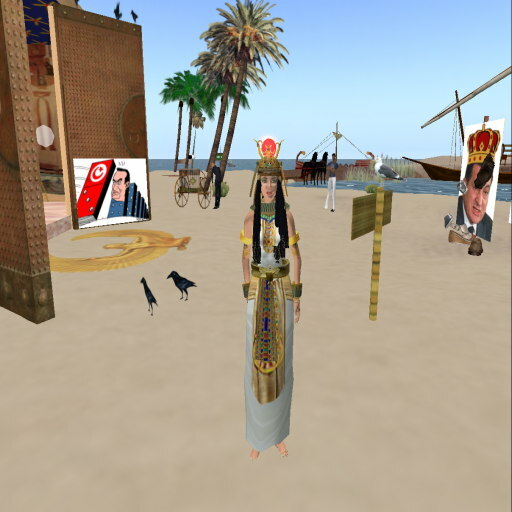 An Egyptian named ammtory Aedipo, living in the United Arab Emirates, owns an SL region named Egypt. 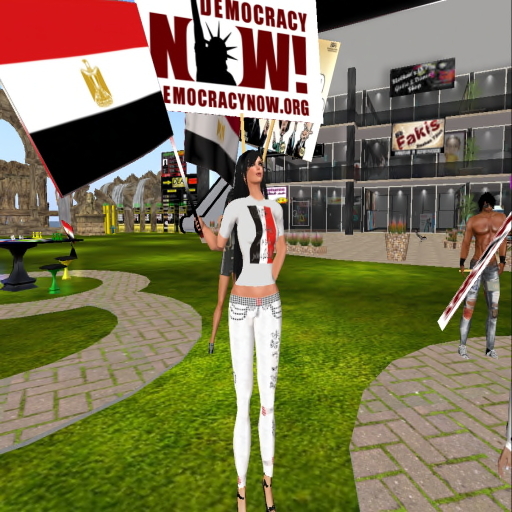 For the past week, Egypt in Second Life has been crowded with protesters from around the world, displaying protest signs, waving flags, and talking endlessly about the uprising in real-life Egypt. 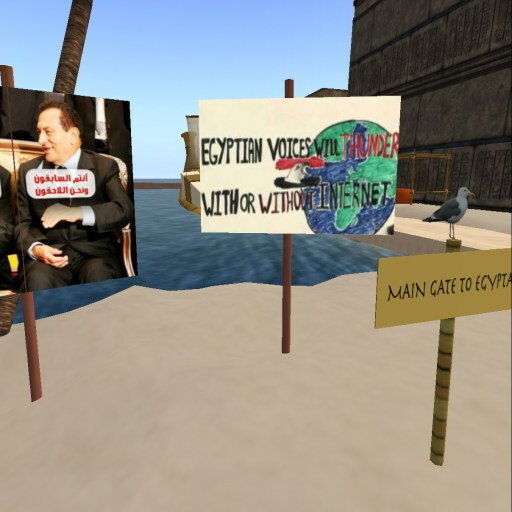 Shutting off the Internet in Egypt in RL hasn’t stopped interested picketers around the world from teleporting into Egypt in SL. What do they talk about? The latest news from Egypt, how to circumvent the Internet shutdown, how people they have heard about in RL have been mistreated, and how good President Mubarak has been for the country over 30 years. Turn up the volume and you can hear popular Arab music on the audio stream and rants from both sides in voice chat. 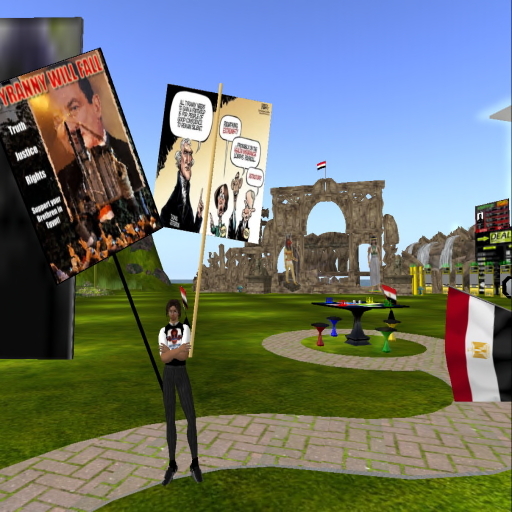 As you stand on the Egypt region of SL, with avatars walking around, dancing, waving flags, thrusting posters and cheering the news, you see in the mind’s eye how closely it must be simulating the verbal strife in RL Egypt. You can feel not only their heartache but also their elation. 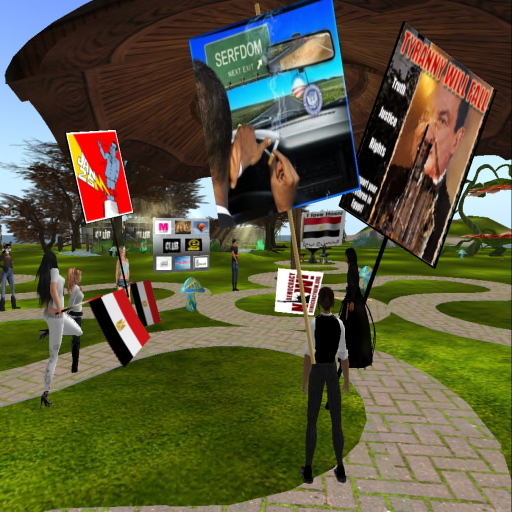 UPDATE (February 5, 2011): The demonstrations in the virtual world are spreading. 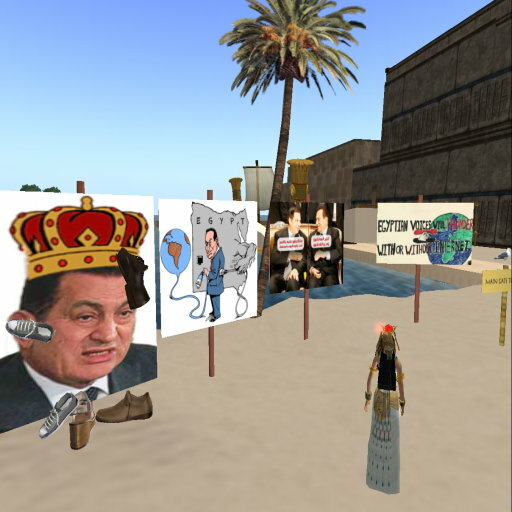 While Second Life’s Egypt region displays pro-Mubarak signs, a larger four-region commemoration of ancient Egypt called Terra Egypta is displaying pro-democracy anti-Murbarak posters. 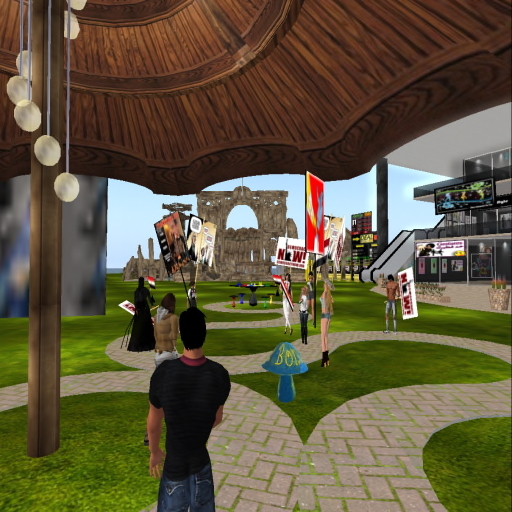 The acronym SLURL is short for “Second Life URL,” a Web address. SLURLs are direct links from the Web to locations inside Second Life. When logged into a Second Life account with an SL viewer open, clicking one of these SLURLs takes you directly to the named location. 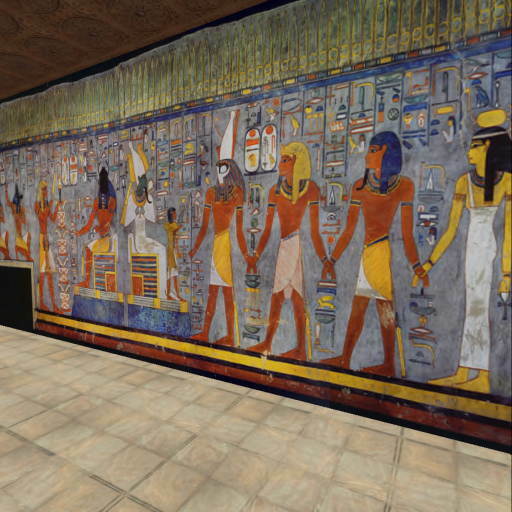 This entry was posted on Thursday, February 3rd, 2011 at 10:05 am and is filed under culture, exploration, media, public life, Second Life, SecondLife, SL, society, travel, Uncategorized. You can follow any responses to this entry through the RSS 2.0 feed. You can leave a response, or trackback from your own site.